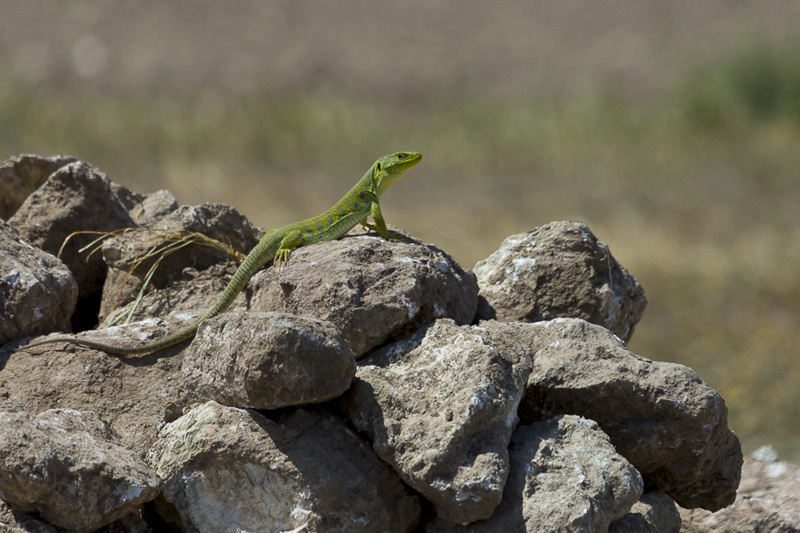 The desert steppe of Monegros hosts the largest biodiversity in Europe in a spectacular African scenery. From the Dupont’s lark to the great bustard including African migratory birds and birds that live on the steppe, a huge variety of species can be observed there. 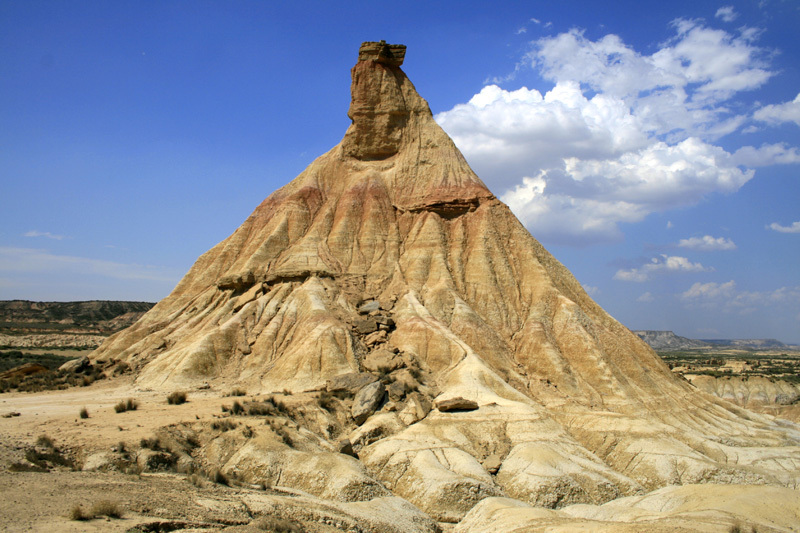 Monegros has a surface area of 276.500 hectares and is the largest desert steppe in Europe. 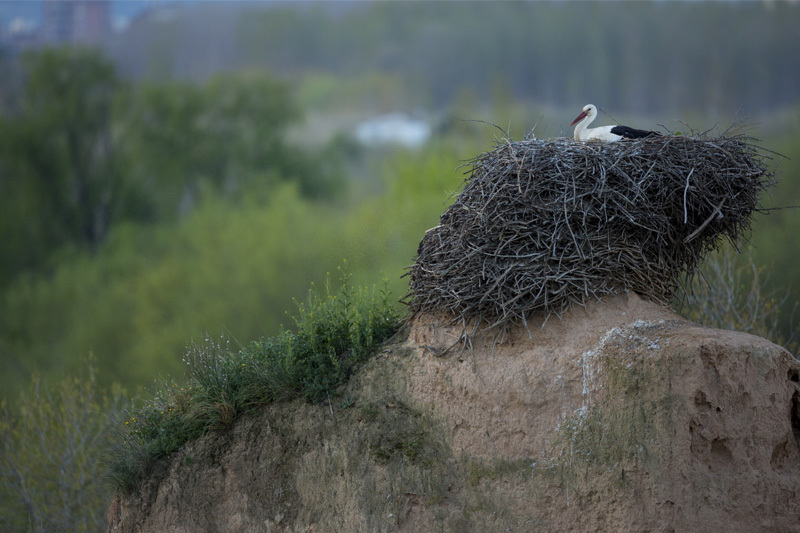 Its habitat, unique in Europe, displays the biggest biodiversity on the continent with 5.400 different species; a large number of the species are endemic and every year new species are found there. The lack of water and excessive sunshine are the two main factors that oblige plants and animals to adapt seriously to survive; so it is extremely important to save water, this rare and precious element. 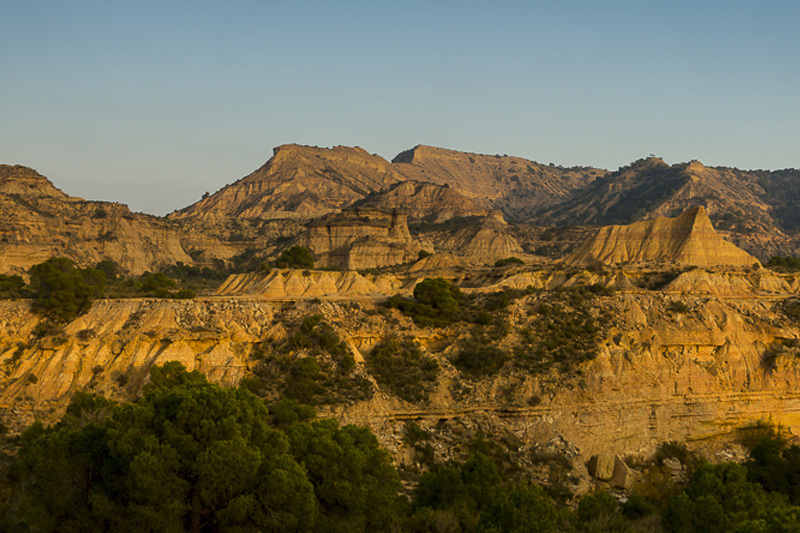 It is also the reason why local people consider the Monegros as « a part of Africa in Europe ». 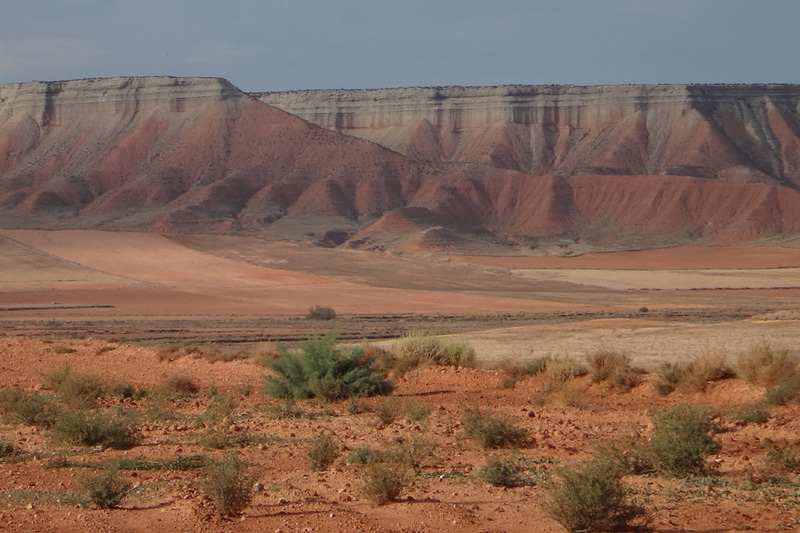 However, it is considered that this impressive landscape is the result of human action all along the millenniums. Iberians, Romans, Visigoths, Arabs are the civilizations that have succeeded and have left their trace; a lot of archeological deposits are the testimony of it. Nowadays, this singular landscape is formed by a patchwork of steppes, salt areas, ravines, lagoons, hills and wheat fields. 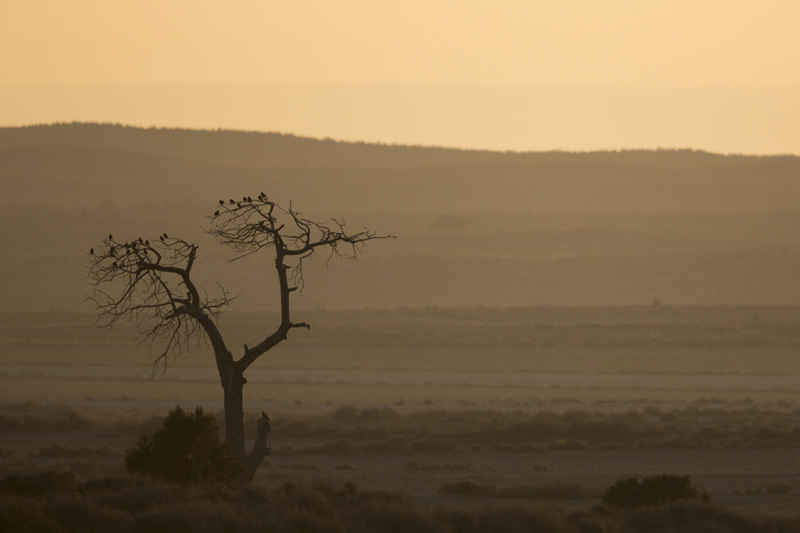 Often, the only trees there for miles around are junipers thurifères; but the golden eagles find a place to nest on them, on this lonely dry plain. 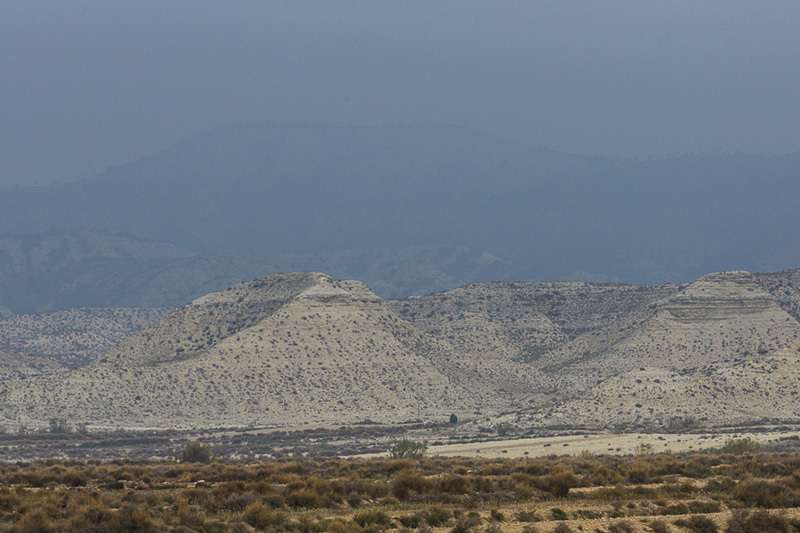 The Ebro River crosses this arid landscape without losing a drop of its precious water: its narrow banks clash with the vast dry areas of gypsum. A few scattered pools, known to the shepherds and their flocks, represent a real oasis for the wild fauna. 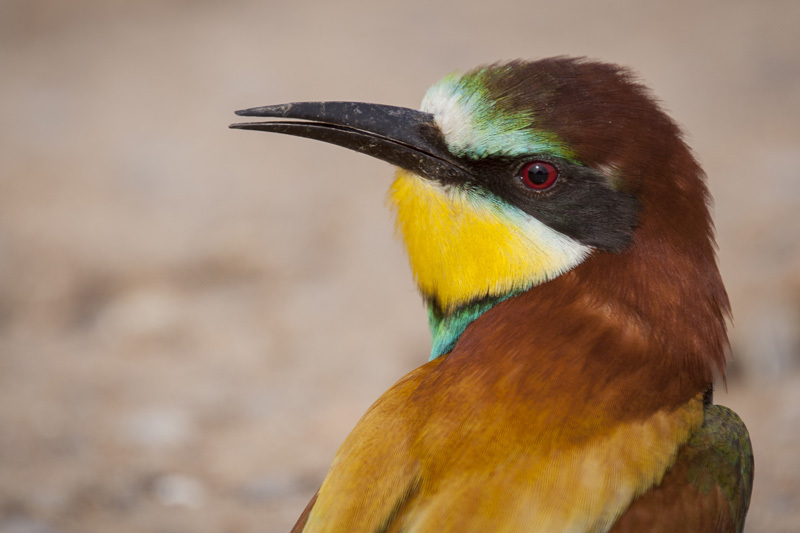 For this reason, the amount of birds is exceptional: 308 species of birds have been observed (Kees, Woutersen & Maarteen Platteeuw, 1998) of these, 141 were nesting (J.L. Tella y D. Serrano, 1999). 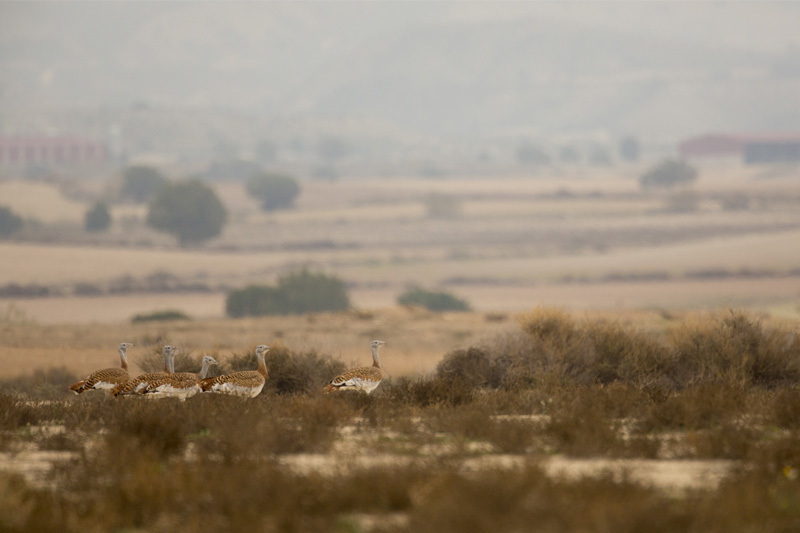 A wintering area for the nesting birds from the North of Europe, a reproduction area for a large number of birds from Africa, a stop-over place for the great transition of migratory birds between Europe and Africa, crossing the strait of Gibraltar, but also the permanent habitat of the birds of the steppes. 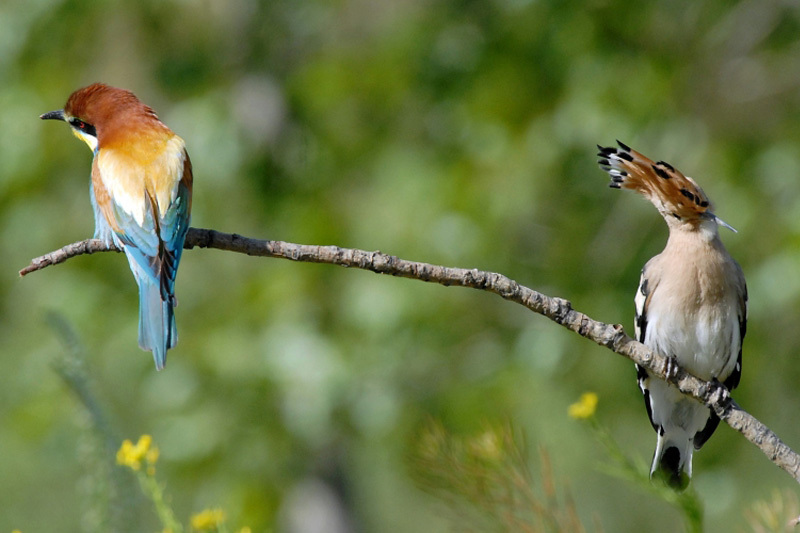 The Monegros is a privileged region for birds and a paradise for the ornithologists. 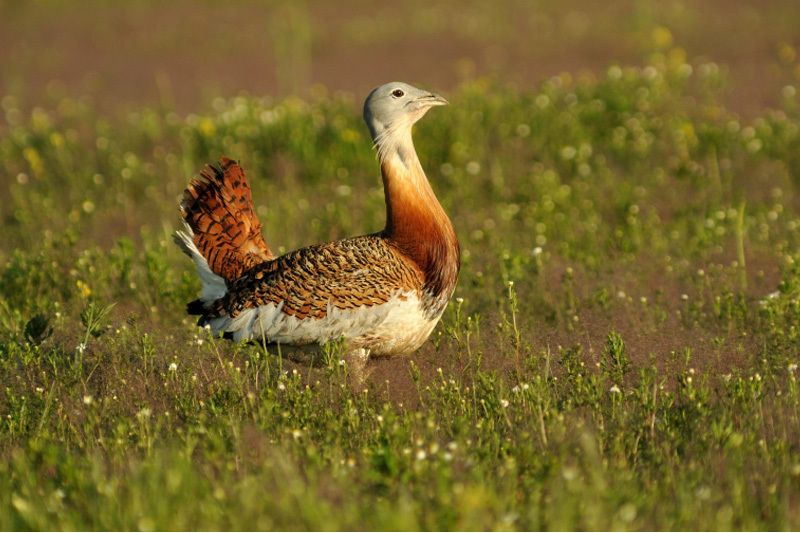 The presence of 5 special protection zones (ZPS) of the European bird directive proves its importance. 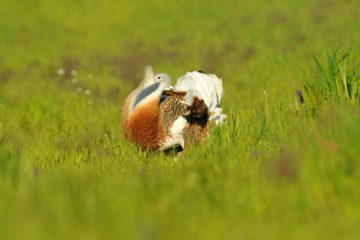 Even if the most well-known species of this region is the great bustard, (imposing because of its great size, it is the largest bird that can fly), the real star is the Dupont’s lark which we can find in this location and in a very small area in Maghreb. The pre-Iberian village of Cabezo de Alcalà (550 BC) which conserves the remains of houses, temples, hot baths, tombs and its original street plan. The archeological remains of the Roman period (44 BC) show a collection of city streets, villas and a necropolis, as well as fluvial port. The village of Celsa, founded by the Arabs (between 750 and 800 AD) during their occupation of the Peninsula, still shows towers, streets and an irrigation system from that time. 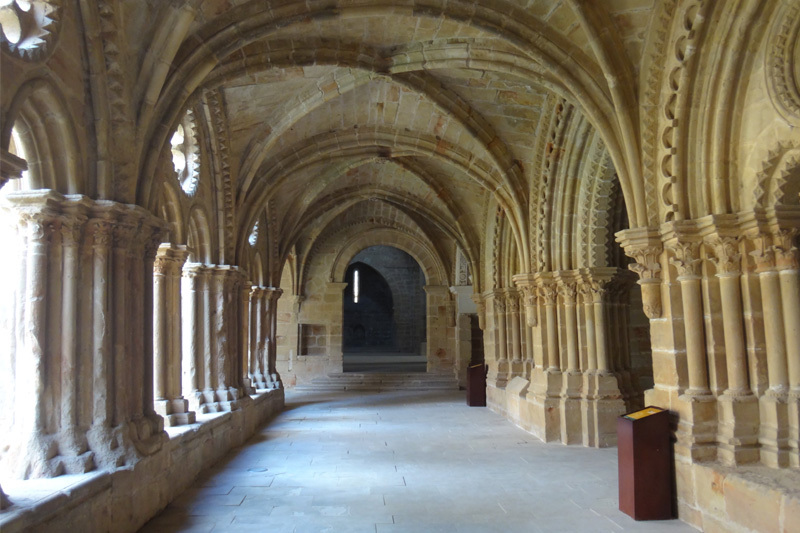 The Monastery of Rueda, a Cistercian monastery, where the construction work began in 1202 and continued up to the XV century. You can still visit the cloisters and other connecting buildings, as well as the Abbey Palace and its surrounding farm area, its irrigation system with the biggest water-wheel in Europe. We have to point out that in this area there many traces of the Civil war (1936- 1939): trenches, fortifications, bunkers. We can also visit the restored defenses where the British writer George Orwell fought. As to the gastronomy, the Monégros lamb has an exceptional reputation which is justly deserved: small legs of lamb, lamb in almond sauce, braised or in the oven. There are so many different recipes to choose from. Poultry, game and anything made with pork are also a basis of many recipes using the wide range of excellent regional products which include olive oil, honey, cheeses and legumes.